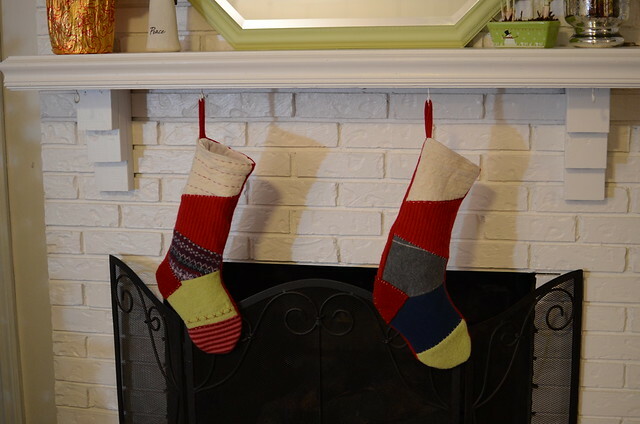 I have been wanting to make stockings for Mitch and I for several years now. The ones that we have been using have absolutely no sentimental value to us. Plus I really never liked them. 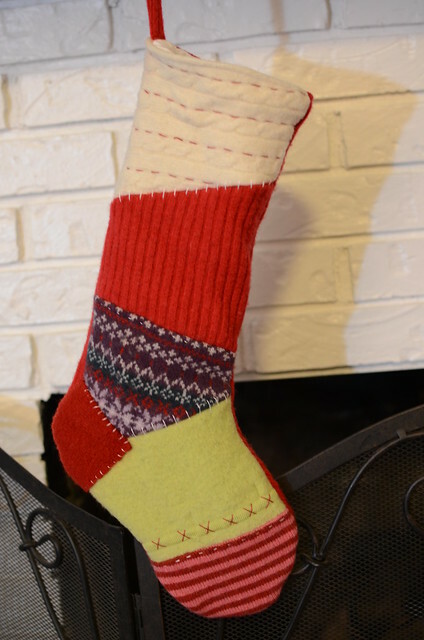 So I decided to use some of my wool to piece together stockings for us. 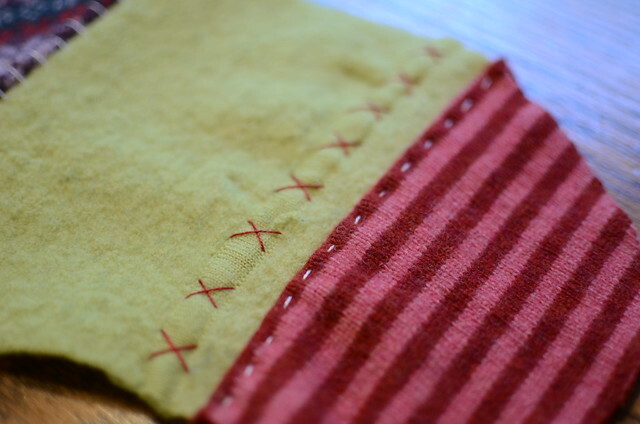 I did a little hand stitching on the front to add some character. Mitch's stocking is on the right. Mine is on the left. If anyone is interested in a tutorial and pattern pieces, let me know. I took photos so I can put a tutorial together if there is interest. I have a couple more projects swirling around in my mind, but have not had time to work on them. I will have to see if I have time this weekend or next week. I have really enjoyed working my way through my stash of wool and there is still lots to use up. I'm interested in a tutorial! YES...would love a tutorial. 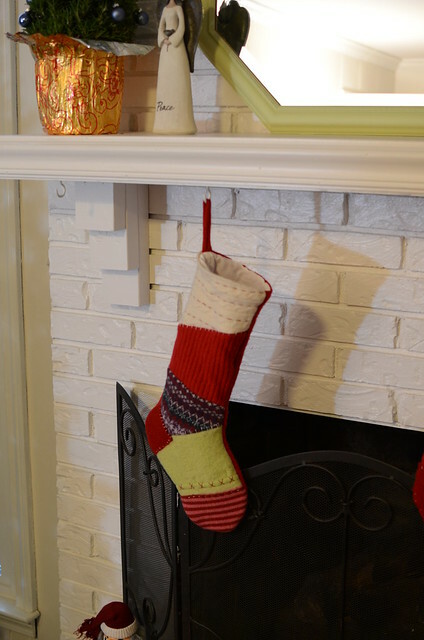 I wanted to do new stockings for all 4 of us...tick, tock. I love the fireplace's new look. I know chimney cleaners who give quality services. Another great tutorial. Not gonna help with my skin whitening but very useful nonetheless.